Family Harmony with Sensitive Children – A New Book! 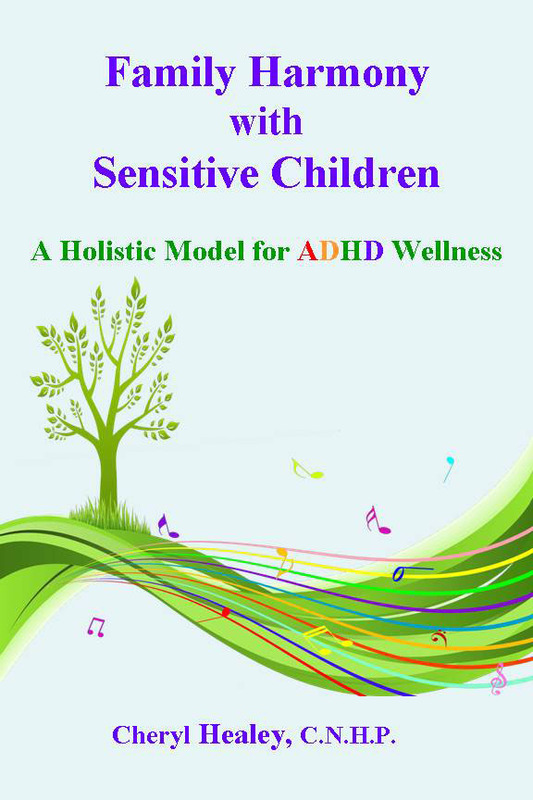 Family Harmony with Sensitive Children – A Holistic Model for ADHD Wellness is now in paperback and on Kindle! Do you want to know the cause of ADHD symptoms? Would it be helpful if you knew how to prevent a diagnosis of ADHD for your children and your grandchildren? What if moving away from drugs and toward natural wellness for your child is easier than you have been led to believe? Does family harmony seem like an unattainable goal with all that life drops at your doorstep? In this groundbreaking and inspirational book you will find state of the art information about the cause and solutions for the symptoms of ADHD. If you are tired of the same old story about wellness, this book is definitely for you and the wellbeing of your child and family. This book synthesizes scientific, political, societal, neurologic, psychological, spiritual and holistic information from a myriad of resources to present to you and your family the formula for ADHD wellness and family harmony. Your level of wellbeing and that of your children and family is a compilation of many things. Find out how you can create a symphony of body, mind and spirit wellness naturally. Cheryl Healey is The Sensitive Child Advocate and an ADHD Solutions Expert. She is one of the children she is here to help. As a Certified Natural Health Professional and Life Coach with psychic abilities, the author has successfully healed many of her own symptoms and conditions naturally. Cheryl helps people just like you discover the cause of issues and the roadmap to healing body, mind and spirit naturally so you can create the results you desire. Visit www.thegiftofyou.com to view testimonials from those who have benefited from the information Cheryl offers. Categories: Coaching, Empowerment, Parenting | Tags: ADD, ADHD, ADHD Natural Solutions, Behavior Modification, Family Harmony, Natural Solutions ADHD, Sensitive Children | Permalink.